Dr. Van Caeneghem is a Fellow and Fulbright Scholar at the FXB Center for Health and Human Rights at Harvard University. Her research focus at Harvard FXB is twofold: (1) exploring bottom-up and participatory approaches to data collection related to ethnicity, and (2) conducting comparative analysis of rights, manifestations of stigma, and social and economic inclusion of Roma in Europe and the USA. In December 2017, Dr. Van Caeneghem obtained a PhD in Law (VUB, Belgium) with her dissertation on the use of data collection related to ethnicity and positive action to combat discrimination and promote equality and social inclusion of the Roma minority in Europe. Before starting her doctoral research, she interned with Reprieve in London (UK) on the reintegration of former Guantanamo detainees in Europe and with the Permanent Mission of Belgium to the United Nations in New York (USA) on a variety of human rights topics. She also volunteered on security and human rights issues at Amnesty International Flanders (Belgium). Dr. Van Caeneghem has been a member of the Editorial Board of the Flemish Journal on Human Rights since 2013. Over the years, she has also been as a legal and country expert on various human rights projects for the EU. From 2011 to 2018, she was a member of the European Union Agency for Fundamental Rights’ multidisciplinary research network, FRANET, in the framework of which she reported to the FRA on the situation of fundamental rights in Belgium. In 2017-2018, she was closely involved in the external mid-term evaluation of the European Framework for National Roma Integration Strategies up to 2020 for DG Just. During the academic year 2014-2015, Dr. Van Caeneghem was a visiting scholar at the University of California in Berkeley as a Hoover Foundation Brussels Fellow of the Belgian American Educational Foundation (BAEF). During her stay, she joined the Berkeley Comparative Equality and Anti-Discrimination Law Study Group, of which she remains an active member today. 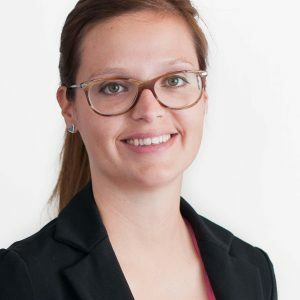 Dr. Van Caeneghem holds a Master in Laws (KUL, Belgium), an LLM in International and European law (VUB, Belgium), and an European Master in Human Rights and Democratization (EIUC, Italy, and UniWien, Austria). In 2018, she was awarded a Fulbright scholarship by the Fulbright Commission for Educational Exchange in Brussels to conduct postdoctoral research at Harvard during the 2018-2019 academic year. During her research stay, Dr. Van Caeneghem will also be rewriting her doctoral dissertation for publication with Springer in 2019.